Howard Vincent (PF President and CEO) address the crowd. 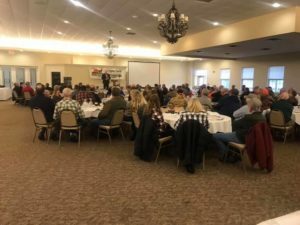 On January 12, 2019, Michigan Pheasants Forever members gathered to celebrate another year of conservation success. 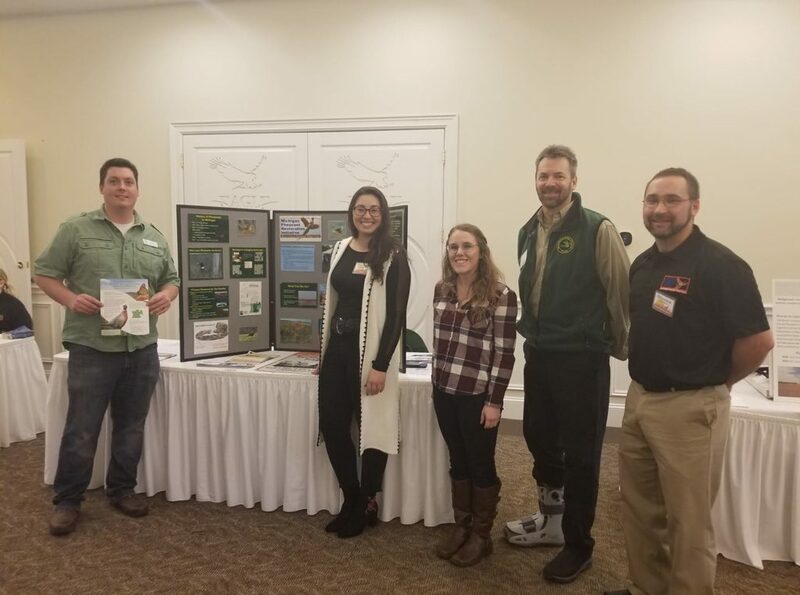 This event was held at the gorgeous Eagle Eye County Club in East Lansing, Michigan. The setting was right and the company didn’t disappoint. Guests were honored with the presence of Howard Vincent (PF President and CEO), Chad Bloom (PF Development Officer), Drew Larson (PF Habitat Education Coordinator), Jim Inglis (PF Government Affairs), Bob St. Pierre (VP of Marketing), Mike Parker (DNR Partner Programs Coordinator) and Al Stewart (DNR Gamebird Specialist). The Michigan Wildlife Cooperatives Program along with the Adopt-a-Game-Area Program shared time during the Habitat Workshop. Ben Beaman (AAGAP) and I had a full crowd for the workshop. It was great to see members of all ages interacting with the workshops and asking program related questions. I’m happy to report that there was expressed interest in pheasant cooperatives. This event created an atmosphere of hope and motivation. We know there is more work to be done both at a landscape level and for hunter recruitment/retention- showing up is half the battle. This doesn’t always mean to meetings. It means showing up to each day ready to introduce at least one person to conservation, one person to hunting, one person to the importance of our natural resources. It’s not always easy but it’s possible. I shook many hands, met some amazing chapter leaders from across the state, networked with various professionals and learned just how deeply rooted Pheasants Forever is to their mission. Thank you to Bill Vander Zouwen and the rest of the state council for putting on this event!